the Sony XAV-AX210SXM DVD receiver with free SiriusXM satellite radio tuner. We desk-test them to see how well they work for phone integration and selecting different media sources. 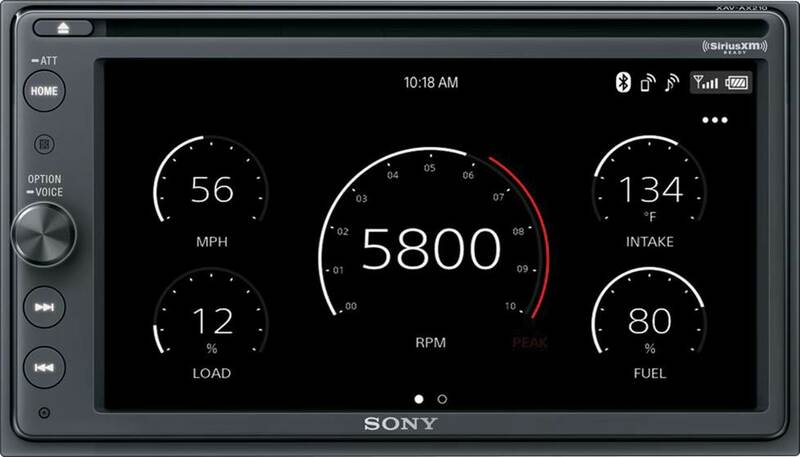 ony's intuitive touchscreen stereos offer much more than pretty faces, but their displays provide great starting points for evaluating ease of use from the driver's seat. Sony's late-2018 lineup includes two new multimedia receivers with convenient knobs, plus a feature-packed stereo that’s been wowing our customers since the summer. I took all three through a test run at my desk to see how they stack up. 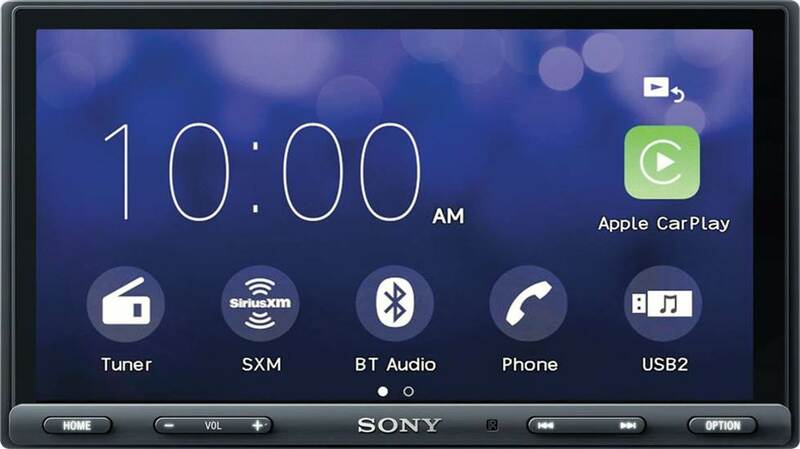 Bench-testing these Sony car stereos includes checking out their compatibility with different types of sources, such as CDs, DVDs, thumb drives, and phones. All three stereos have beautiful TFT displays, regardless of size. They each boast a resolution of 800 x 480 (1,152,000 pixels) with a picture that's crisp, clear, and easy on the eyes. 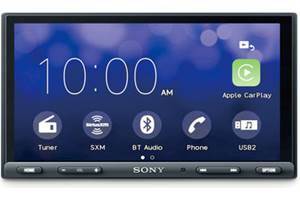 Sony's Gesture Control feature enables finger swipes on the screen (up, down, left, right) to change radio stations (both terrestrial and satellite) and tracks, so you don't have to touch a button or turn the knob. The 6.2" XAV-AX1000 sports a shallow chassis that’ll make installation much easier for do-it-yourselfers, and a handy control knob. 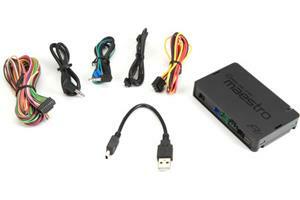 It also offers front auxiliary and USB connections, as well as a dedicated rear-view camera input. The bezel-less 7" XAV-AX5000 offers the best view thanks to its larger dimensions, but it doesn't feature a knob like the other two receivers. It does have a capacitive touchscreen and a small row of buttons along the bottom of the display, plus a pair of rear USB inputs. The compact, shallow chassis takes up very little room, so installers should have few problems with fitting the stereo and attendant wiring into most dashes. 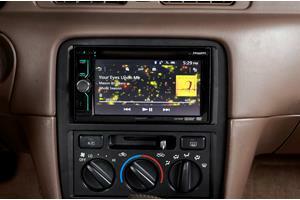 The 6.4" XAV-AX210SXM also has a knob, but unlike its cousins, it can play CDs and DVDs. It fits in most 4" dash openings, but the fit will be a bit more snug for the wiring and harnesses than the other two. For the safety-conscious, this Sony offers inputs for up to three cameras, which will help you get into and out of tight spots. A single rear USB port connects to a smartphone or thumb drive. 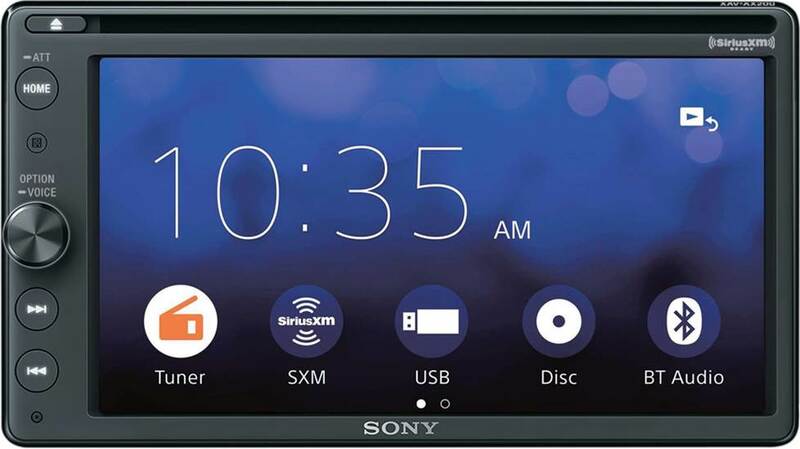 The XAV-AX210SXM also includes a SiriusXM SXV300V1 satellite radio tuner free with purchase, so users can enjoy coast-to-coast continuous satellite radio programming with a paid subscription. There's usually a deal for first-time subscribers, and those who already have a SiriusXM subscription should be able to transition to the new device easily. Testing all three Sony stereos at the same time lets me see if there are any major differences between the three in terms of screen performance. The good news is that there aren't! 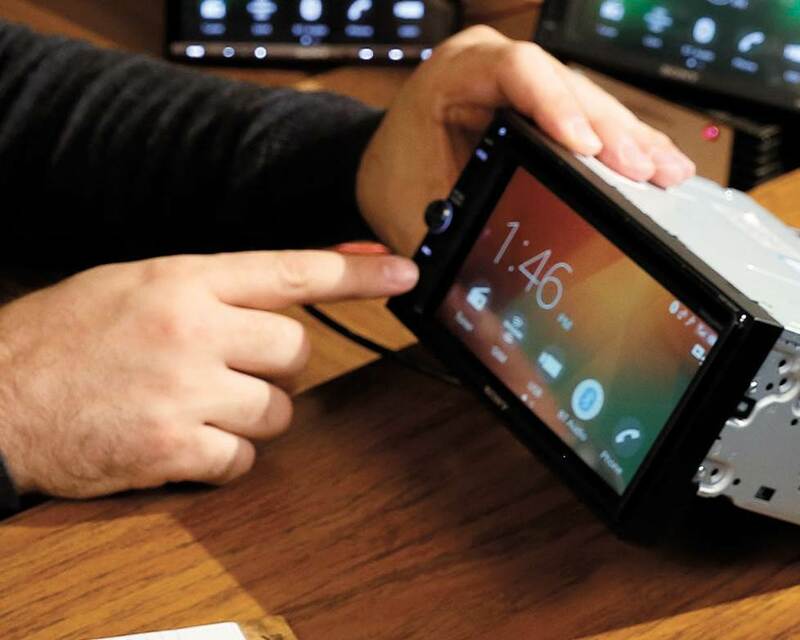 The XAV-AX1000 also doesn’t work with Android Auto™, but the other two stereos do. Sony includes an external microphone with all three receivers, so drivers can use voice commands instead of touching their screen. 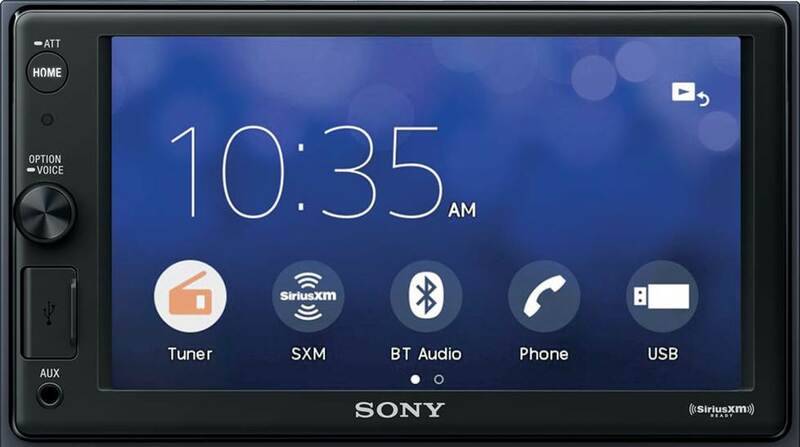 The XAV-AX210SXM is Sony’s first receiver that’s compatible with the iDatalink Maestro interface module. If you want the deep factory integration from the iDatalink Maestro and if you have a compatible vehicle, then this is the Sony stereo for you. 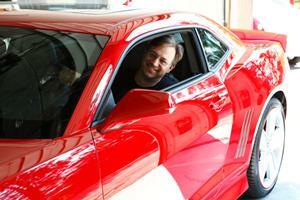 To find out if your vehicle is compatible, tell us what you drive. The Maestro retains factory steering wheel controls and other features in select vehicles, and adds extras like performance gauges, climate controls, vehicle info like tire pressure, and parking distances on the rear-view camera display. All are accessible through the receiver's screen. The iDatalink Maestro’s vehicle info screen shows me what’s going on with my ride on the XAV-AX210SXM’s display. Since this is a bench test of these stereos, it's more about how they feel and look than how they sound — my office mates appreciate my taste in music, but would rather do their work without being disturbed by the tunes coming from my cubicle. Sony’s “less is more” philosophy for the menu screen pays off, as it’s remarkably uncluttered and makes switching between sources with finger swipes a breeze. With the XAV-AX5000's capacitive screen, I can zoom images in and out. Response time for all three stereos is fast, with no noticeable lag. The knobs, while on the small side for my rather large fingers, feel solid and let me change the volume with ease. The knobs also offer pushbutton control — a quick press gets me to the sonic options screen for changing sources and pulling up the EQ, while a longer push lets me use voice commands for Apple CarPlay and Android Auto. Video files look spectacular on all three screens (when the parking brake lead is engaged, of course). The XAV-AX5000’s dual USB inputs are a digital music lover’s dream, since I can charge my phone while enjoying full-resolution FLAC music files from my thumb drive. Checking out the Sony XAV-AX210SXM at my desk involves playing with the buttons, knob, and screen. While it would be nice to evaluate these stereos for sound in a vehicle, a desk test lets me get a quick taste of their performance without the hassle of an installation. All three Sony receivers proved easy to view and use, whether I was changing sources, adjusting the sound settings, pulling up podcasts from my iPhone, or watching a DVD. 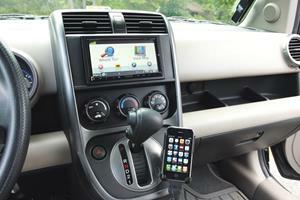 Apple CarPlay compatibility and Android Auto (on two of the stereos) is a huge plus for any road warrior. 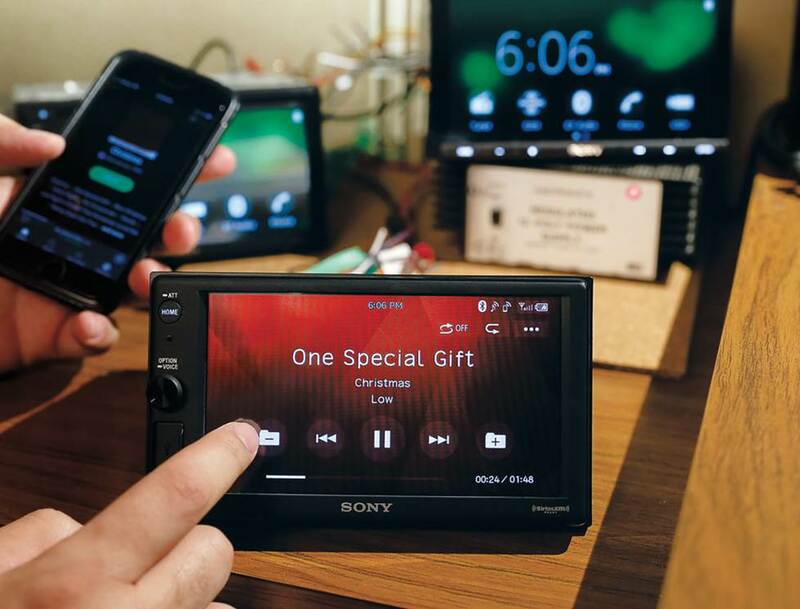 Considering their combination of connections, features, and specs, any of these Sonys is worth a second or third look for anyone in the market for a new touchscreen stereo. Could one of these Sonys be right for you? 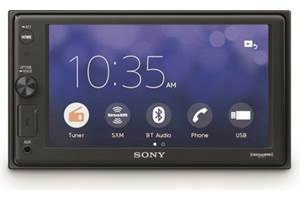 Have questions about these Sony receivers, or about choosing a car stereo in general? Our expert Advisors know the answers. Call, email, or chat with us today. 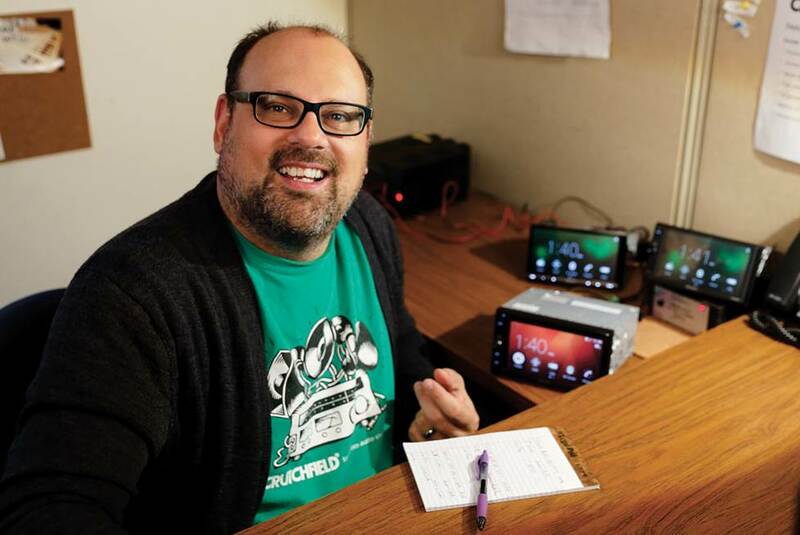 Free lifetime tech support is included with every Crutchfield purchase.